cost effective way to sell your boat. 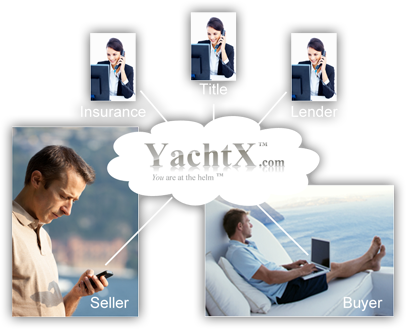 YachtX is a new breed of full-service yacht brokerage that combines highly knowledgeable sales professionals with the exposure of top-tier marketing sites YachtWorld.com, Boats.com and Boattrader.com and web-based private client dashboards accessible anytime, anywhere from your smartphone, tablet or computer so you can stay up to date while saving up to 90% or more in the sales cost of your boat! costs.” - Andrew Z., West Coast U.S. Call us at 443.888.9190 and sell with YachtX today!